I hate it when things clash. 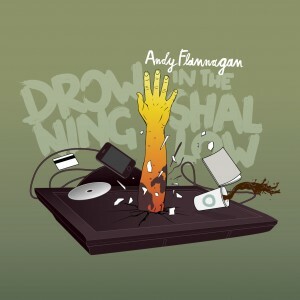 Back in the summer, I went to the launch of Andy Flannagan‘s new album, Drowning in the Shallow, and it was great. Great enough for me to say “Of course I’ll go!” when I received a Facebook invitation to a special radio/press launch for the album. But then bad news: salsa “leg ends” El Gran Combo de Puerto Rico were playing the Electric in Brixton on the same night – Thursday 18 October – and I’d already bought a fairly pricey ticket for it. My first thought was, “Seems I’ll have to miss out on Andy’s gig this time.” But then I noticed that Andy’s gig started at 6.30pm and was due to finish at 8pm, while the ‘doors open’ time for the Gran Combo gig was 7.30pm. Guessing that they would take the stage sometime around 9pm, I figured I could safely go to both – so that’s what I did. My first stop was a little side road off Tottenham Court Road, where Andy had booked a nice Spanish bar/restaurant called Nuevo Costa Dorada for his gig. I started bumping into old mates almost as soon as I set foot in the place (always a good thing). The gig was a warm, intimate affair; two short sets with a complementary tapas buffet in between. Accompanied by Lucy Payne on cello, Yves Fernandez on bass and Phil Jack on percussion, Andy went from profound and serious (songs about people he’d met in India and Egypt and during the time he lived in Luton) to romantic (a couple of songs from different periods in his relationship with his then girlfriend, now wife Jen) to endearingly silly (a medley of songs that included LMFAO’s ‘Party Rock Anthem’ and Flight of the Conchords’ ‘Business Time’). Lucy the cellist’s husband acted as MC for the evening, and I found myself sharing a table with Alan Branch, who produced the album. The bonhomie continued after the band had packed their gear away, but I had my appointment with El Gran Combo to head off to and couldn’t hang around. “They’re like the Rolling Stones of Latin music,” I offered by way of an explanation when a mate asked where I was off to (well, it is their 50th anniversary this year too). I hummed my favourite Gran Combo song, ‘Azuquita pal Café’, as I walked to Tottenham Court Road Station. Turns out I’d called it absolutely right. When I arrived at the Electric just after 9pm, I breezed through security without having to queue up. The MC and house DJ were still keeping the crowd warmed up in anticipation when I walked into the auditorium. 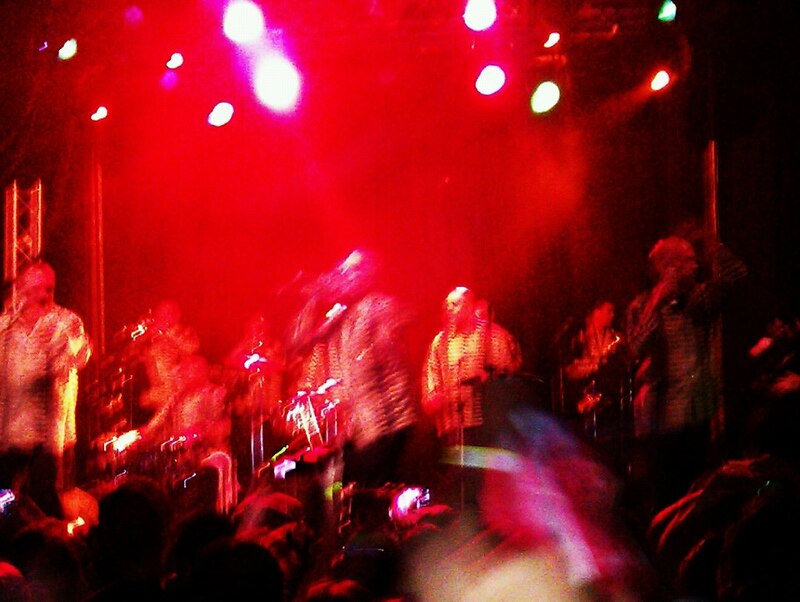 About another 15 minutes later, El Gran Combo took the stage in their trademark blue and green striped shirts. They opened with their classic ‘Me Libere’ and rolled out the pick of their arsenal of hits: ‘Brujeria’, ‘Verano en Nueva York’, plus a few tunes that were favourites of mine but which I hadn’t realised that they were responsible for. They didn’t sing ‘Azuquita pal Café’ – but it kinda didn’t matter; all the other stuff was so good. Halfway through the gig, Charlie Aponte (one of the band’s three lead singers) gave a special ‘shout out’ to all the people in the audience who weren’t Latino but had come because they were interested in Latin culture or just loved the music. “Muchisima thank you,” he said. ¡Señores y señoras – El Gran Combo de Puerto Rico, en vivo! I got home just after midnight, tired but immensely fired up, and grateful that I’d been able to pack two inspiring gigs into one evening. Cheers, Andy – and “Muchisima thank you” a ustedes tambien, Gran Combo.